Is some students' shouting 'anti national' slogans really a threat to the idea of India? What is of utmost importance - protection of freedom of speech or cracking down on anyone "harbouring anti-national sentiments" in anticipation that such elements could have terror links? 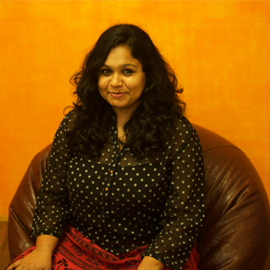 Is it time that sedition, a vestige of colonial rule in India, should be done away with? Should tax payers' money fund students politics that espouse the cause of separatists and Maoists? These questions are top of mind ever since the 9 February event at JNU. And never mind the doctored footage and highly editorialised reportage on national TV. A few current and some ex students of JNU were charged with sedition for allegedly raising slogans like "Bharat ke tukre tukre tak jang rahegi jaari" and organising an event commemorating the hanging of Parliament attack convict Afzal Guru. A similar debate was sparked off last month when a Dalit scholar, Rohith Vemula, committed suicide after being suspended from the University of Hyderabad hostel. Just like in the JNU student's case, Vemula's nationalism was questioned for his alleged association with an event protesting the hanging of Mumbai blast convict Yakub Memon. A highly polarised social media debate and a mountain of photo-shopped images made it tougher to take sides. So when the Parliament decided to take up the issue today, our leaders had our rapt attention. After all, aren't our representatives the right people to answer fundamental questions about the health of our democracy? Did the Parliamentarians give us any answers? Leaders in both Houses of Parliament tried to answer our questions, though only half-heartedly, laced with much hypocrisy and the intention of serving their own political ends. The Rajya Sabha was a mess with a furiously defensive HRD Minister Smriti Irani and an adamant Mayawati involved in a nasty catfight. Irani's histrionics in the Upper House included melodramatic sentences like: "Agar mere Jawab se aap santusht nahi huyi to, to main apna sir kalam kar dungi." Multiple adjournments in the RS due to the face-off between the two leaders. The drama shifts to the Lok Sabha. We see a face-off between young turks of BJP and Congress - Jyotiraditya Scindia vs Anurag Thakur. Scindia, with Rahul by his side, parroted what the vice-president of the party has been saying all along. That Kanhaiya Kumar, the JNUSU President, who was charged with sedition for allegedly organising a Pro-Afzal Guru event, was targeted because he was anti-RSS. During his turn, Thakur questioned Scindia, "Is the Emergency imposed by Indira Gandhi in 1975, jailing of political opponents and journalists the definition of freedom of speech and democracy for the party". We still don't have answers to our questions. The fourth speaker was Trinamool Congress' and Netaji Subhash Chandra Bose's grand nephew Sugata Bose. He said that the idea of the Union of India should also take into account the disgruntled voices, the voices from the extreme geographical ends of the country like Jammu and Kashmir and the North-East. He spoke a lot of sense. He said the BJP was defining nationalism in a dangerously narrow manner. That by their standards of nationalism, even Ravindranath Tagore, who penned the national anthem, would be tagged anti-national. But the moment he compared the BJP crackdown on JNU students with the "benevolence and restraint" shown by Mamata Banerjee in dealing with similar sloganeering in Jadavpur university, he lost the plot. Perhaps, he had forgotten how the Mamata administration had charged a Jadavpur University professor with controversial section 66 A of the IT Act, which was declared unconstitutional by the Supreme Court last year. The provocation was an innocouse cartoon of Mamata Banerjee that the professor had forwarded, just like we forward memes and jokes making fun of politicians every day on WhatsApp groups. Being a historian himself, Bose did give us some answers. But he was not above party politics. 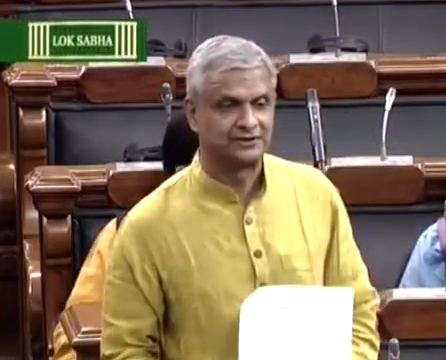 The fifth speaker on the issue in the Lok Sabha was BJD's Tathagata Satpathy, best known for his advocacy of legalising cannabis. Satapaty began with a moving statement: "The youth of this country doesn't deserve us." He added: "We (Parliamentarians) are the most undeserving set of people." He targetted the Congress. He emphasised on the greatness of the Indian democracy saying that a man who attacked the highest symbol of Indian democracy, the Parliament, was given a fair trial by the country's judiciary. However, he reserved the best jibes for the BJP. He pointed out that despite showing that it was the only party that cares about the lives of soldiers, it didn't let the Pakistani army help the men in uniform trapped in an avalanche in Siachen. On JNU, he said that ever since the hanging of Afzal Guru, the University has been organising the screening of documentaries on him. However, he added that it was neither the anti-national sloganeering by JNU students nor the Afzal Guru issue that the BJP really cared about. Quoting, the Supreme Court, "not a tweet" (another jibe at Home Minister Rajnath Singh for quoting a fake tweet of Hafiz Saeed linking him to JNU protests), he brought the focus on the fact that "top 10 public sector banks have written off Rs 40,000 crore alone in 2015". Satpathy launched a searing criticism of the government for failing to control the depreciating rupee against the dollar. His moot point was that it was not Afzal Guru, but the failure in governance which prompted the government to seek shelter behind students' agitation and the Jat quota stir. On the definition of nationalism, the 59-year-old MP from Dhenkanal constituency of Odisha, said, "Nationalism reminds me of Benito Mussolini from Italy. I am a patriot. I travel the world, but don't lose touch with my country, my constituency and my people." The debate in #LokSabha was turning into political slugfest but thanks to Sugata Bose & Tathagata Satpathy is now an eye opening classroom. Several other MPs spoke after him. MIM's Asaduddin Owaisi, Pappu Yadav, BJP's ally LJP's Chirag Paswan also delivered passionate speeches. But no one perhaps made things as clear in our head as Satpathy. And no one was willing to spell out the real intentions and benefits accrued by our political system by aiding and abetting violence on our campuses.